As one of the globally leading market research institutes, Ceresana is specialized in the segments chemicals, plastics, packaging, and industrial goods. For over 15 years, our experienced team has been analyzing industrial markets and their development. We provide full market transparency by means of profound professional and methodical expertise. Already more than 10,000 customers trust our market studies. With our data and facts, we support companies of all sizes in making their strategic decisions. By using the information we provide, our customers can seize considerable competitive advantages. Profit from the market expertise for your successful management now! Ceresana analyzed the global printing inks market already for the third time. The report examines demand, demand per application area, demand per printing ink type, demand per printing process, production, import, export, and revenues for 17 countries for the period from 2009 to 2025 as well as the major manufacturers. Furthermore, demand per printing process is split by individual application areas. The application areas are books, magazines, newspaper, advertising and catalogs, labels, packaging, and other applications. The printing ink types are: oil-based, water-based, solvent-based, radiation-curing, toner, and others. The printing processes analyzed include heatset web offset, coldset web offset, sheetfed offset, flexo, gravure, other analog printing, inkjet, and electrophotography. The market analysis of the global PS and EPS market includes data on demand, revenues, production, trade, and capacities for the years 2010 to 2026. Besides seven world regions, 21 countries are examined in detail. 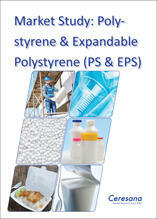 Demand, production, and capacities are given for PS and EPS, respectively. Demand per product is, in turn, split by application areas. 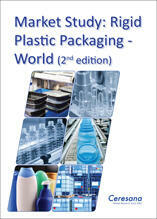 These are packaging, construction, industrial goods, and other applications. The fifth market report on the global plasticizer market provides you with data and forecasts on demand and revenues for the years 2010 to 2026. Furthermore, global and regional demand per product type as well as global, regional, and country-specific demand per application area are analyzed. The plasticizer types DEHP, DINP/DIDP, other phthalates, and non-phthalates are considered individually. The application areas analyzed are profiles, films, cables, floorings, other plastics, elastomers, paints & coatings, and adhesives. Besides 7 world regions, 45 countries are examined individually. The fifth report by Ceresana on the global market for polyvinyl chloride (PVC) provides data on demand and revenues as well as forecasts until 2026 for each world region. Furthermore, demand is split by products (sewage pipes, potable water pipes, other pipes, profiles, films & sheets, cables, containers, floorings, others), application areas (flexible packaging, rigid packaging, construction, transportation, E&E, industry, other applications), and PVC types (rigid PVC, flexible PVC). For 46 individual countries, information on demand, production, import, export, and revenues is given. Furthermore, demand for PVC is split by products, application areas, and types for every country as well. For the fourth time, Ceresana analyzed the global market for stabilizers. Demand in tonnes as well as revenues in US dollars and euros are given for 7 regions of the world and 16 individual countries. Furthermore, demand per product type and per application area is analyzed. Tin stabilizers, lead stabilizers, calcium-based stabilizers as well as liquid mixed metal stabilizers and other products are examined individually. The application areas analyzed are pipes, profiles, wires & cables, flooring, and other applications. The report provides analyses on demand, revenues, and production in 7 regions and 16 countries for the period from 2009 to 2025. On the regional level, the study contains a breakdown of demand into the 6 product groups standard bottles, squeeze bottles, dispensers & spray bottles, jars/cups/boxes, trays, and other containers. Additionally, demand is split by the 15 application areas lemonades, water, fruit juices, other beverages, household chemicals, cosmetics & pharma, dairy products, chilled food, ready meals/convenience food, frozen food, spreads, sauces & condiments, other food, and industry & transport. Furthermore, demand per plastic type is split by application areas for each country (e.g. PET containers in the segment spreads).